Now that Friday Night Lights is officially coming back in the fall - and the fall after that! - the question has turned to which cast members will be back with it. The show prides itself on realism, and in real life, people move on and leave town. The fact that Friday Night Lights reflects this facet of life is very cool. 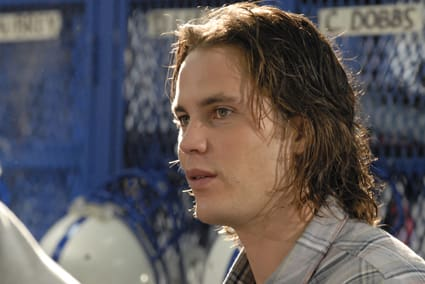 But perhaps more than any character besides Mr. and Mrs. Coach, Taylor Kitsch's Tim Riggins would be a borderline irreplaceable loss. Will he be back? EW's Michael Ausiello says, reassuringly, that somehow, some way, we've yet to see the last of Tim. Taylor Kitsch is definitely returning for Season Four!